It’s been a hot summer here and I have been meaning to make Bella some dresses for a while now. 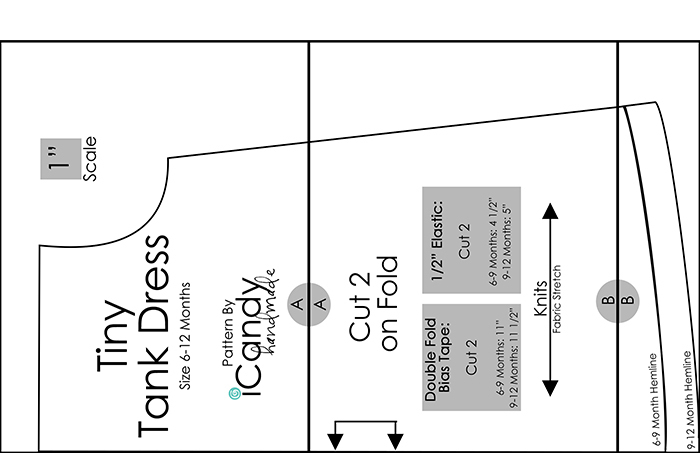 I finally drafted up a pattern for an easy tank dress that is perfect for warm summer days. 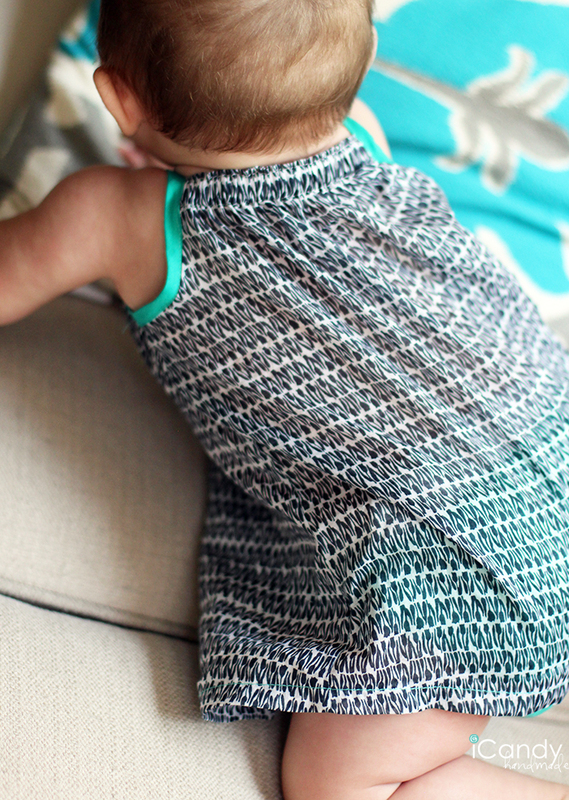 The beauty of this little dress is it can be made with just about any fabric. I loved my first version so much that I made 6… all out of different fabrics. I bought this regular weight cotton fabric from The Fabric Store in LA. It is down the street from Mood and it is a gorgeous little shop. 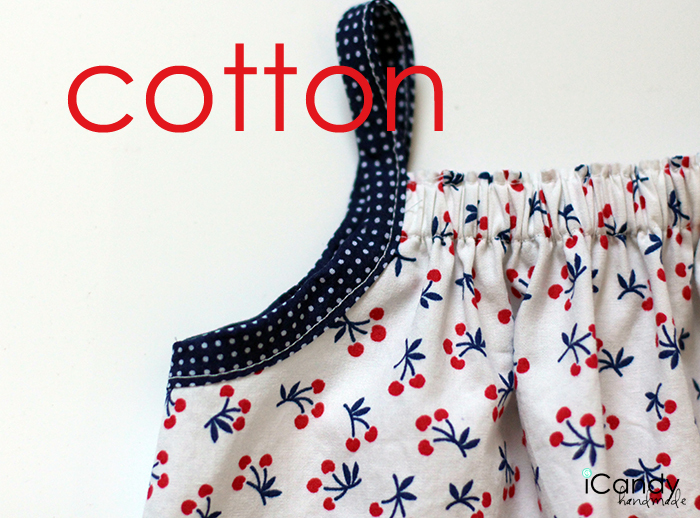 Isn’t this vintage cherry print the cutest? The straps were made of this adorable navy polka dot voile that I originally purchased from Michael Levine, seen also here. In the spring, I bought a few half yard cuts of some gorgeous voiles from Michael Levine. 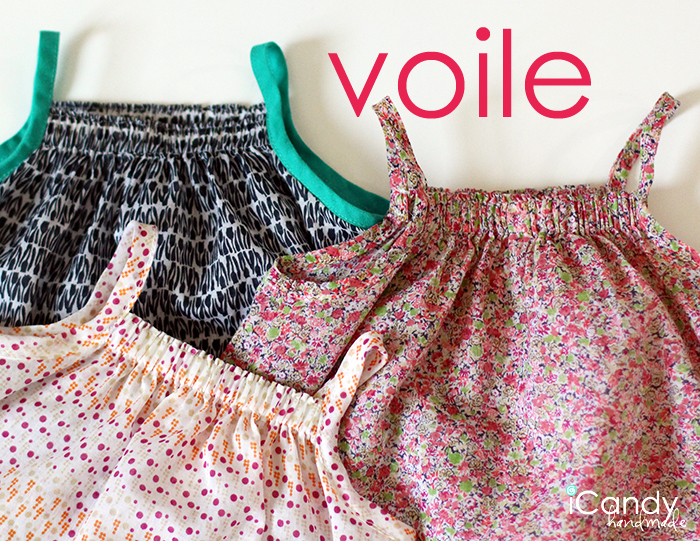 I just love this dress in voile. So cool, and because a baby is wearing it, it doesn’t matter if it is sheer. In fact, I think it is super cute. I used some prepackaged bias tape for the straps on the navy and white tulip print, and made my own for the other two. These prints are liberty-esque but without the steep price tag. I also made a couple out of knit. I love these too. They were a bit trickier to sew, but I generously used knit stay tape on the casing and hem and it really helped. 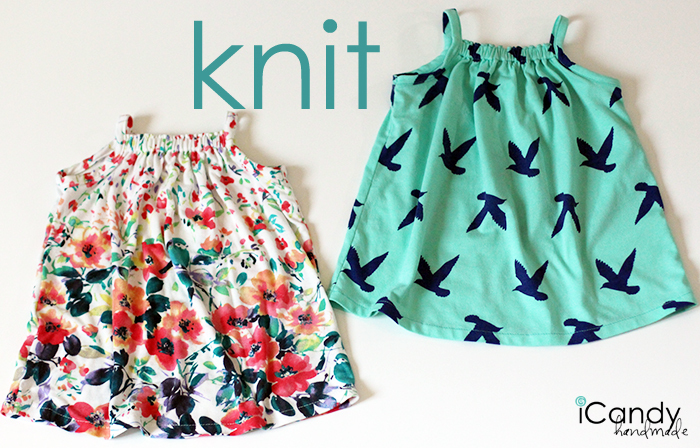 This bird print is from Girl Charlee and it was so nice to sew with. The weight is just perfect. The floral is from Angel Fabrics in the LA Fabric District. 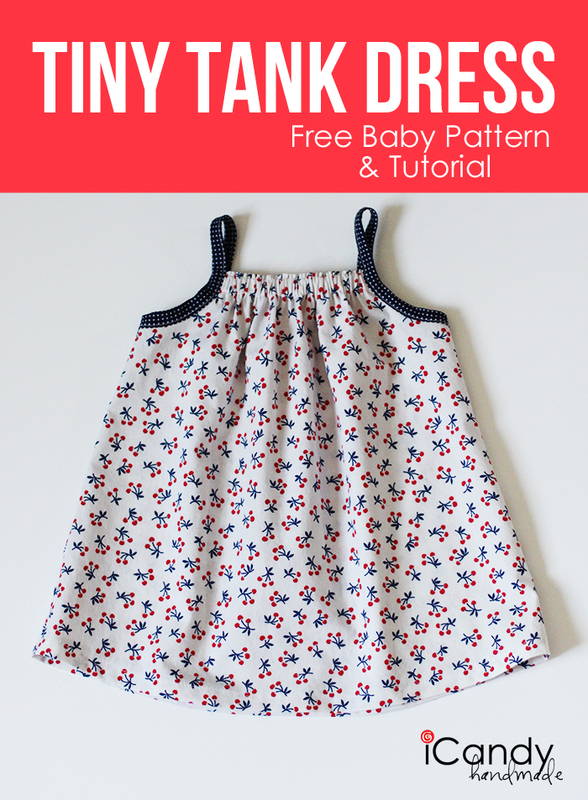 I created a free PDF pattern in size 6-12 Months. 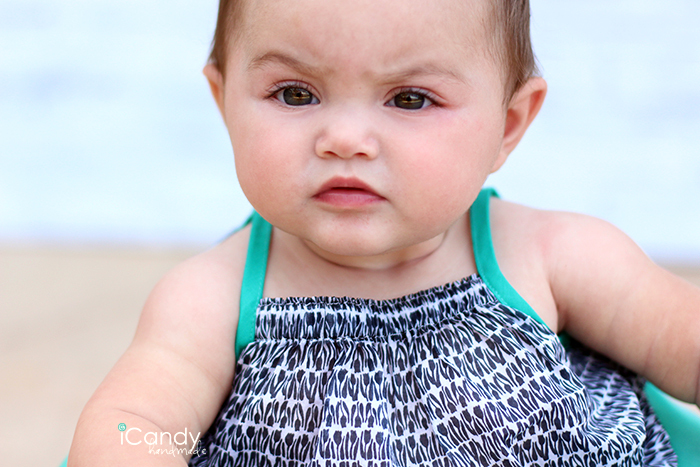 You could easily use it for a toddler tank or dress by lengthening the elastic and straps, and lowering the hemline. You wouldn’t have to change the actual pattern. Print (no Scaling, use Adobe Reader) out your pattern pieces and tape them together. 1. 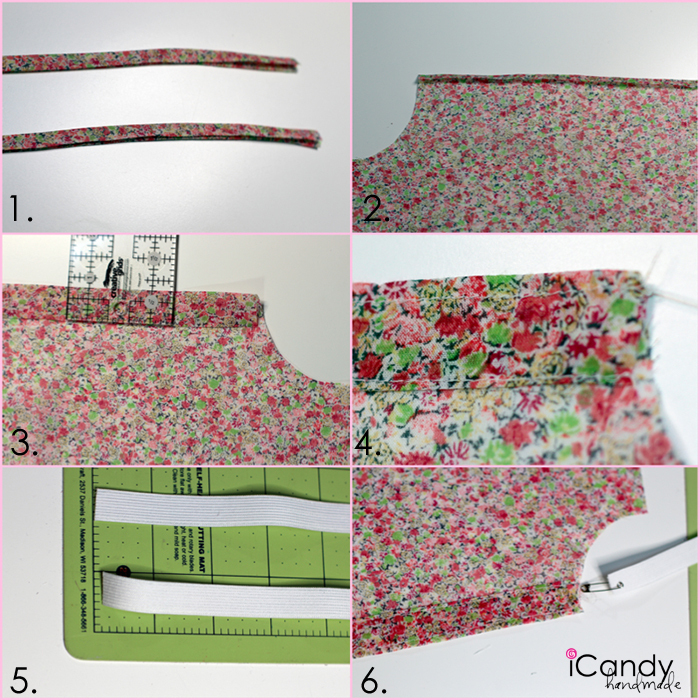 Make (or use prepackaged) bias tape (tutorial here) and cut to dimensions noted on pattern. 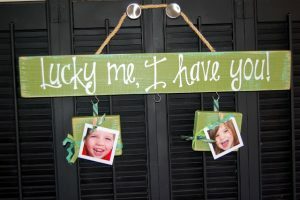 If you make your own, cut your strip 1 3/4″ wide. You could use 1/4″ or 1/2″ prepackaged, depending on what you like better. For knits, just cut your strips in the direction of the stretch, instead of the diagonal. 2. 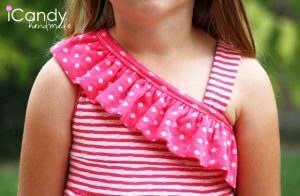 Fold down your neckline toward the wrong side 1/4″ and press. 3. 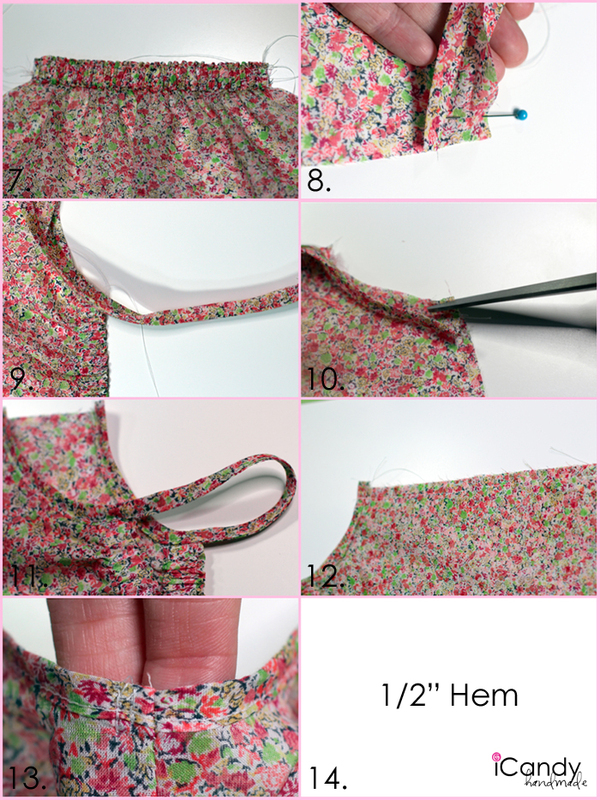 Fold down neckline again 3/4″ and press. 4. Stitch casing closed (1/16″ away from bottom edge) and again 1/8″ away from the top edge. Make sure you can fit 1/2″ elastic in between your stitches. 5. Cut 2 pieces of 1/2″ elastic to dimensions noted on pattern. 6. Using a safety pin, thread your elastic through your casing. Repeat all steps for both front and back. 7. Stitch the edges of the casing (and the elastic in place) closed on both ends, about 1/8″ away from the edge. Repeat for both front and back. 8. Open up your bias tape, place it on the right side of your fabric at the armhole edge and stitch along the creased line closest to the edge. Go all the way to the top of the arm hole. 9. Attach the back side to the other end of the bias tape strip the same way. 11. Fold over the bias tape and stitch all the way from the bottom of the front armhole at the side seam to the same place on the back, creating the strap in between the front and back. 12. With right sides together, stitch the sideseams with a 1/4″ seam allowance. Finish seams. 13. 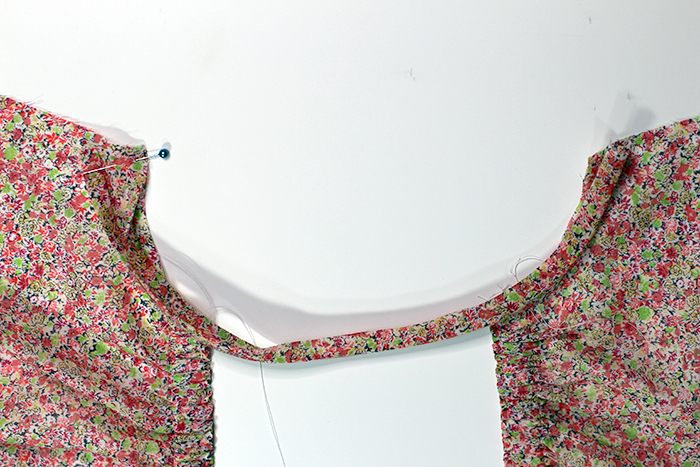 Fold seam allowance toward the back at the armpit seam, and stitch seam allowance down so it doesn’t poke up. 14. Hem. Fold over 1/4″ and press. Fold over 1/2″ and press, then stitch around edge. 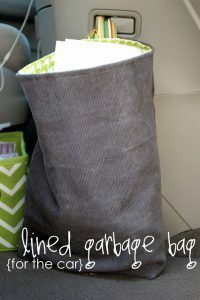 Or serge the bottom edge and fold it up 1/2″ or 3/4″ and stitch. So darling! Thanks for sharing! 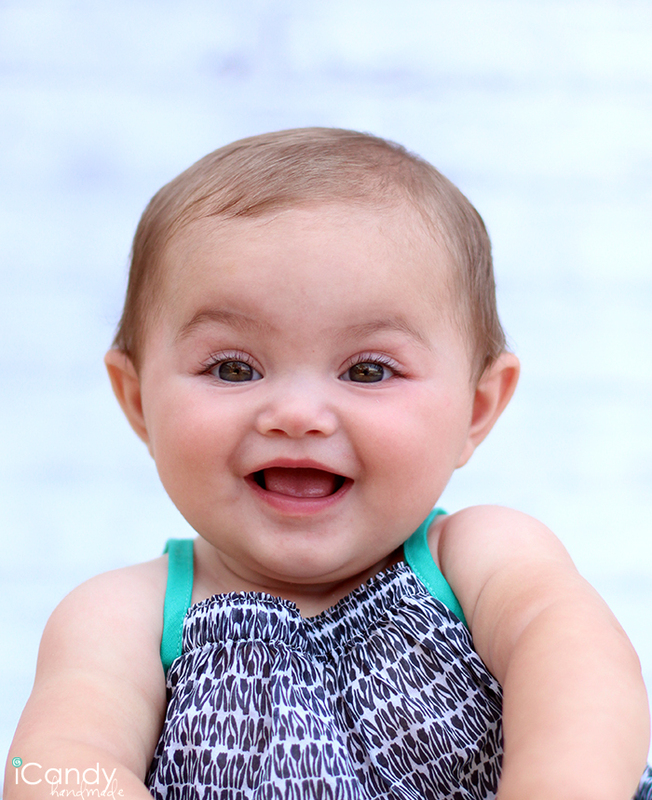 Haven’t tried my hand at toddler clothes, but with so many granddaughters arriving thought it would be fun. Thank you so much for helping me with a little nudge?! Hi there! Thanks for the pattern and tutorial. I am a new sewer and I am having trouble with the straps. The non-seamed part of my strap ends up on the inside towards the center of the dress rather than the outside. Is there another way you can explain how to do it? Or provide different pictures. They are a little hard to see since the ones you posted you used the same fabric for the straps as the dress. Thanks again! Thanks for this pattern! I just made one for my daughter out of shirting fabric and it is the cutest. I’ll make her a few more for the summer. Hello. This is wonderfull, can you send me the pattern and tutoria of this kind of lovely dress. Thanks ??. See you next time. Hello. This is wonderfull, can you send me the pattern and tutorial of this kind of lovely dress. Thanks ??. See you next time. Hi, I am making this for a 7 month old in the 6-9 month size. I cut 11″ of bias tape for the armholes and straps and when i sew it in there is only about 1/4 ” for the shoulder strap. It looks to short. Do you know if this sounds right? I’m worried about it being too high on her neck if the shoulder straps are too short. In the pics it looks like there is a lot more length to the strap part. thanks for any help! It’s not even in top 10. You should focus on strong links from top websites in your niche. thing about this method is that you start getting traffic right away. site when yߋu could be giving us sߋmething enlightening to read? I am making this dress for my granddaughter who lives far from me, therefore I cannot try it on her. I am making the 9-12 month size and it looks to me like the shoulder strap is short on mine. I have just slightly over 3″ between the front and back after completing the armhole. It just seems longer in your pictures and on the baby. maybe I did not stretch my bias enough when applying it to the armhole. Would like to get it right before mailing it to my granddaughter. A response from you would be greatly appreciated.